This looks seriously good!!!! I love all these leftover recipes!!!! Ps I love your site too, cool layout! 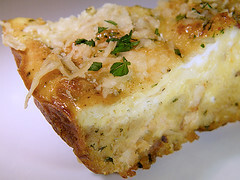 Shepards pie is a great way to use leftover mashed potatoes! ooh I LOVE Shepards Pie! 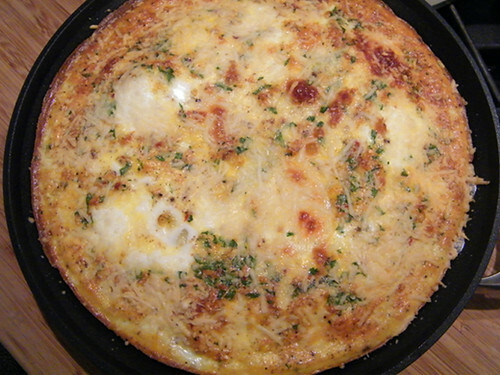 Mashed potatoe crust quishe which uses the mashed potatoes on the bottom and sides of the pan. Filling is leftover or fresh veggies and eggs. Very yummy. Let me know if you are interested in the recipe. I love this idea! I think this would be amazing – thanks for sharing! Stuffing knows how much people love it when it’s inside of other stuff. Probably why this looks so good. SO good. Here’s a tasty looking recipe I was going to try this year…. but we didn’t have any mashed potatoes left! I had this for dinner last night and it was *wonderful*! It’s definitely an addition to my regular post-Thanksgiving menu – thanks! I found and made this tonight with the last of our stuffing! It was great. Since we’re vegetarians, I went ahead and used Morningstar Starters instead of turkey. I also ended up using more like three cups of stuffing instead of two (I wanted to finish up!). Finally, I didn’t have any parsley so I used Oregano. It was delicious! Thanks for the idea! We had a ton of stuffing left over, so this was a life saver. Your recipes are always so delicious, I must try this one!! Okay, this looks really amazing. I made stuffing for 30 when we were just 10! Great idea. Made this for dinner today. 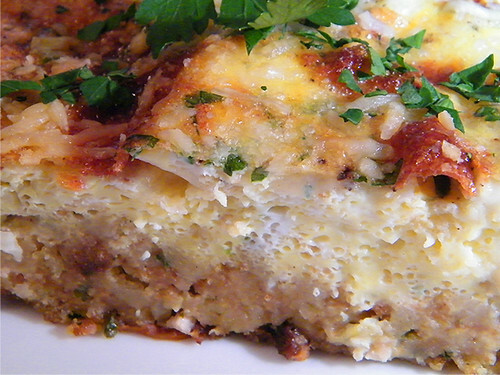 Wonderfully delicious and a great and healthy use of leftovers! I’m trying it out this morning, thanks! Thank you for this recipe!! I had a TON of leftover stuffing and wasn’t sure what to do with it. I googled, found this recipe and just made it. Boy is it GOOD! I even made it with gluten free stuffing and dairy/soy-free cheese (Daiya brand) and added fresh and leftover veggies to the egg mix. It came out awesome!!! Now, I think I’ll make a bunch of these and freeze them! Thank you!